What will become of us if the future of Europe is not certain or if we are bombarded by news of uncertainty from all directions? 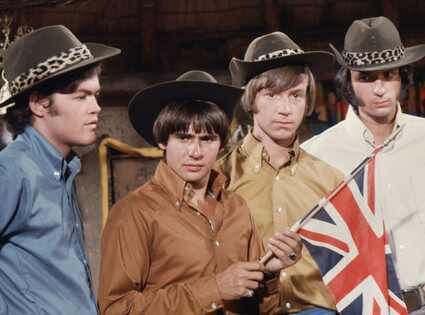 Monkees singer Davy Jones is dead, Mart Laar is in a hospital recovering from a stroke and pneumonia, and Vladimir Putin just won this month's presidential election and plans to rule his country for a dozen more years. There has been a clear disturbance in the force. Now more than ever I feel the urge to stand up and do something to alter the trajectory of this cursed planet ... and so I write a blogpost. Putin is like every Russian complex wrapped up in one little man, a geopolitical pig in a blanket. He's got that annoying knack for demanding respect. "Do you respect me? Do you respect me?" To which one can only answer, "Not really." It's the pride thing that gets me. His latest tirade against Estonia was hilarious. "How can we accept that, due to their status as non-citizens, one in six Latvian residents and one in thirteen Estonian residents are denied their fundamental political, electoral and socioeconomic rights and the ability to freely use Russian?" asked Putin. One in 13! It's probably more like one in 14 or one in 15 by now, because there are 94,000 stateless persons left. But still. This guy is the president of the world's largest piece of real estate, and he's got his knickers in a bunch over that poor 13th guy in Estonia who can't vote in parliamentary elections because he hasn't managed to apply for some country's citizenship in the past 20 years? Putin can't be serious, can he? Maybe all of those protests have made him delirious. He must know the writing's on the wall. Some people are saying he may only last a year into his new term before he retires to some tropical isle to cavort around with Berlusconi and underage girls and Napoleon's ghost. But ... back to Estonia. At home in Estonia, we are worried, not because of Putin's psychotic reactions, but because the people are abandoning ship. As Ilves said in his Independence Day speech: "Our own attitude towards our fellow countrymen is not a smaller concern. We cannot get far by looking for and emphasising mistakes and by being jealous of and mean to others. "The state is often not better either," he went on. "The return of the people is hampered by the rigid attitude towards the problems of those who arrive or return, be it the continuance of children's studies, finding a vacancy in a nursery school or granting a residence permit to a spouse who is a foreigner. The system must adapt to the changed behaviour of the people, not try to adapt the people to the system." The process of finding a slot in a nursery school is complex. I've tried to figure out how it has happened that in a state where one in 10 persons are unemployed, and the government is providing parental renmeration to encourage baby making, it is a challenge to procure for one's offspring a convenient spot in an uncrowded nursery school. Mean jealous people, living in a rigid system that does not adapt to their interests. Doesn't sound like a recipe for success, does it? To make things worse, droves of women are leaving the state to settle with foreign men, some of whom are quite swarthy. Women's magazines celebrate the phenomenon in every other issue. Nothing sours the gullet of a proud Estonian more than to see the flower of Marjamaa under the creeping arm of some guy who wouldn't know Vahur from Vahukoor. I went to the supermarket looking to get some books on nursery schools or regional government reform, but all I found were some Minu series books and a new thick treatise on the life and times of Harald Nugiseks. Nugiseks is 90 years old and his claim to fame is that the Nazis awarded him the Knight's Cross in 1944. I would like to meet Mr. Nugiseks. Seems like he has stories to tell. I even saw an image of him in a magazine flanked by two other aged Estonian women, the trio smiling, as if he was still getting play for earning that Knight's Cross all those years ago. I always wonder who buys the Nazi merchandise for sale in Estonian supermarkets. It's not officially packaged as such, but let's just say if you laid it out in your nearest Duane Reade in New York City, you'd be in hot water with the Anti-Defamation League. But there it is. The compact disc of old fight songs. The SS recruitment poster calendars. The Nugiseks coffee table book. None of it showcases any overt allegiance to the Führer. The calendars invoke the fatherland, as in Estonia, not Germany. It does annoy me though. How much of my life have I wasted on the Internet defending this country from detractors, only to be greeted in the supermarket by some commemorative book about a Nazi war hero? Nugiseks, like the other SS vets, claims to have been fighting for Eesti in enemy uniform. I won't question his explanation. Still, those were the Führer's uniforms. Those were the Führer's military decorations. But, whatever. It's Europe. If you can buy Mussolini aprons in Rome, you can buy a Harald Nugiseks coffee table book in Viljandi. In the meantime, how's that municipal reform going? Found a nursery school spot? How's that 13th guy in Estonia making out? Damn shame about Davy Jones, right? The more time I spend in Europe, the more I feel like some hopeless partisan on the front in the Spanish Civil War. On my right are the Falange, the CEDA, the Alfonsists and the Carlists. On my left, the Basque and Catalan nationalists, the CNT/FAI and UGT unions, the Civil Guard and the international brigades. Everybody claims to be fighting for a better future. It's a tough fight. Looming over me is the ghost-like figure of Ilves in the clouds, the soul of New Europe. He has a laptop in one hand and a bundle of birch branches in the other. And he is asking everyone Mis meist saab? Mis meist saab? In which supermarket is the Nugiseks' book for sale? I will look for it when I go for groceries tomorrow. This must be so frustrating. Sometimes I don't know myself whether to hug my fellow estos or slap them. We have this thing called "freedom of speech" in Estonia which basically means Anti Defamation League or Vladimir Putin can't tell us what books we can or can not sell in our grocery stores. Something to think about for all you ignorant freedom hating Amurkans. Hilarious post, Justin. May the Force be with you. By the way, I'm actually impressed that Putin got so close to the right number of non-citizens, since in my impression Russian media and politicians consistently state wildly inaccurate numbers if it fits with the agenda. For example Russian media invariably state the number of Russian speakers in Latvia as 44% and have been doing so since - 1991! However, I recently wrote a comment for an article at Russia Today where I provided the right number (33% - including all East Slavs), and I certainly didn't expect them to react. But I must admit that to my surprise they changed the number in the article. Maybe there are small shifts towards a balance in the Force. You can buy Mein Kampf and whatever you like to read in the US. But no, the new shiny collector's edition of Mein Kampf won't be found at Wallgreen's, precisely because it would piss a lot of people off. Just like you won't find a horde of pro-Communist literature at Selver, because that would also piss people off. But SS recruiment calendars? Doesn't piss people off. I don't think most Estonians accept it. They just ignore it. Estonians are good at ignoring things. Well, of course Nazi-Germany was a deadly enemy of Estonia and Estonians, the genuine historical experience though is that in the time they had, they were much, much less deadly than Stalin's Soviet Union. That's simply a historical fact, however bad the Nazis were, and they, in my opinion marginally, did really beat even Stalin. But only marginally. And in Estonia they didn't. And I'm sure that the overwhelming majority that wore those hateful uniforms really did defend Estonia, not Nazi-Germany (that was also such a deadly enemy of Estonia). So, to my mind it is quite understandable that in Estonia there is a partial blindness to the full awfulness of the Nazis as they historically and tragically concretely experienced the awfulness of the Stalinists. This attitude just separates our Western borderlands from the Anglo-Saxon heartland of the West. I'm as liberal as they come, really radically liberal, and radically anti-fascist, but I don't see the Finnish Waffen SS-Bataillon volunteers as being war criminals as they did not engage in war crimes and were fighting, fundamentally, for Finland, and not for Nazi-Germany. Well, Europe is a bit like the City of Tallinn - as soon as some guy will claim that it is now 'fully built', the old man from the lake will appear and drawn it all, so that the whole process of rebuilding can start again. You mustn't forget that where as USA is a country, Europe is a civilization and I can understand that the idea is somewhat unreachable for Americans. I have an Italian friend who once told me that things often tilt to the extreme left, and then back to the extreme right, but in the end they will meet somewhere in the middle. It just takes time. So don't take this Nazi stuff too seriously - it's a fading trend with no long lasting legacy. You are absolutely spot on with regards society being too 'stiff' in Estonia to make it attractive to the 'long lost sons and daughters' to return. My partner is English and he has fallen in love with Estonia over the past few years and he can't wait to move there. He is not even bothered about the homofobic rethoric of some of Estonian leading figures in public life, nor by the fact that moving to Estonia would meand that we would be automatically 'downgraded' from being legal partners to literally 'flatmates'. It's a daunting thought for me and would require immense effort to overcome. But would it be worth it? Could it instead put a huge strain on the relationship? How greatly will all of that actually affect me? These are the big questions I think I'm not the only one asking. A new Europe is brewing, Justin. And it's not that terrible, it's just generational change. Don't let the fogs of winter in Viljandi bring you down. I saw an SS agenda in a bookshop and it was too much. I buy the Eesti Legioon thing, fine. But that was plainly an SS agenda and I saw no intention of drawing a line in the front poster. P.S: Just for the sake of accuracy in your Spanish Civil War metaphor: drop the Civil Guards to the right and it will be fine. "What would Putin do?" That's a question posed as a regular spot on an Australian television programme looking at spin and advertising. As a political leader, Putin is a little scary (well, maybe more than "a little"). As an example of what happens to propaganda in the post Cold-Ward period, he's an absolute legend. That man is hilarious... if you are on the other side of the planet. I imagine he's a little less amusing at close quarters. Though you can't buy "The protocols of Zion" in Estonia, it's outlawed as hate literature. Dunno if the same applies for "My Struggle", but you can't buy that, either... no wait, I just did some googleing and here it is, published in 2003. But the best part is the publisher - Kaitseliidu Veteranide Klubi Saaremaa piirkond. OK, now that's seriously fucked up, I agree. It is odd. While nobody expects your little Selver in some provincial town to offer Barns & Noble kind of variety and choice, the little that there is available in terms of books right next to the crates of beer and vodka near the cash register, should not be just some WWII memorabilia. How about Dostoyvsky's Notes from the Underground instead? It would go better with the hangover the next morning after the grocery shopping. Life is often surreal and funny in Estonia looking from the outside in. @plasma-jack, that does indeed sound strange, even unexpected, given all those claims that what mattered was fighting against the enemies of Estonia, not fighting for the Nazis. Is there an undercurrent of admiration for Nazi Germany somewhere among the Veterans? It would be interesting to see if they added any comments to their edition of Mein Kampf, and what those comments were. As for Putin getting teary-eyed over 1/13 of Estonians and 1/6 of Latvians... this is more for internal consumptions. All those Russians he is teary-eyed about are after all русские братья, and other Russians empathize with them; and this adds to the perception of the Baltic countries as nests of collaborationists during WWII (didn't Aaviksoo once say he was called 'Nazi' while studying in Moscow once because he was overheard speaking Estonian over the phone?) and thus certainly capable of 'perscuting' Russians. Both lead to more support for him, as if he needed that. Can non-citizens (legal residents, just not citizens) vote in Russian parliamentary elections? No? then stop bitching. "(didn't Aaviksoo once say he was called 'Nazi' while studying in Moscow once because he was overheard speaking Estonian over the phone?)" 1. The Russians hardly ever use the term "Nazi",but almost exclusively "Fascist", although in their vocabulary it hardly ever refers to the Italian ultranationalist movement of the 1920s. 2. The Russians use the term "Fascist" extremely losely - it can mean as little as "foreigner" or "non-Russian". 3. The Estonians are a special brand of Fascist for the Russians, because it is commonly believed in Russia (and even among educated people, believe you me), that Estonians speak German as their first language, probably because they use "German letters" and all that. Isn't there an inclination towards authoritarian ideas among older males and (para)military enthusiasts everywhere? Nevertheless, everywhere else they seem to use "don't ask, don't tell" policy for closet Nazis. I am utterly outraged of the number of non-citizens who are not allowed to vote or become president in Russia! eToro is the most recommended forex broker for new and advanced traders.